In the nineties and noughties, The Ivy in London was every major celebrity’s favourite haunt. 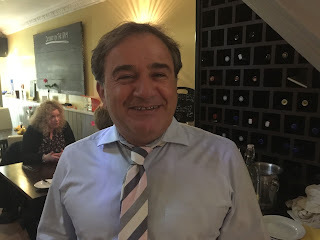 It wasn’t the food that made it so popular (the cooking has never been that special), its success was down to the extraordinarily warm atmosphere generated by its two restaurateurs Jeremy King and Chris Corbin, and their charming maître d’ Fernando Peire. From Beckham to Biggins to you and me, everyone was always made to feel at home. The ability to make strangers feel like guests or even friends is an essential and priceless gift for any restaurateur. And that’s what Giovanni Marabini has in abundance. 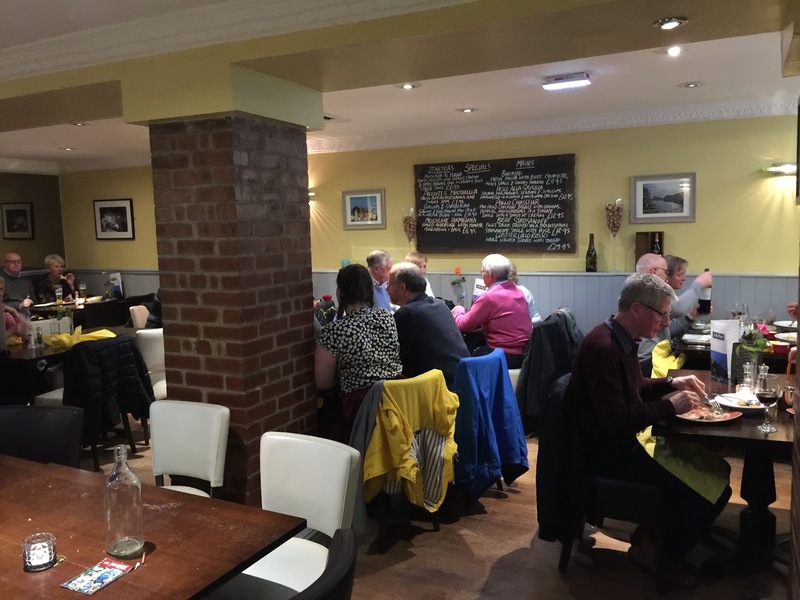 OK, so let’s admit it – Morpeth has never had a lot going for it, restaurant-wise. As Newcastle has transformed its culinary reputation over the past five years, this pretty market town has remained a backwater of indifferent dining. Aside from Nadon Thai, which produces some quality Asian dishes, I reserved one shiny star (well, four, actually) for Marabini's, then a modest Italian above a shop in New Market. 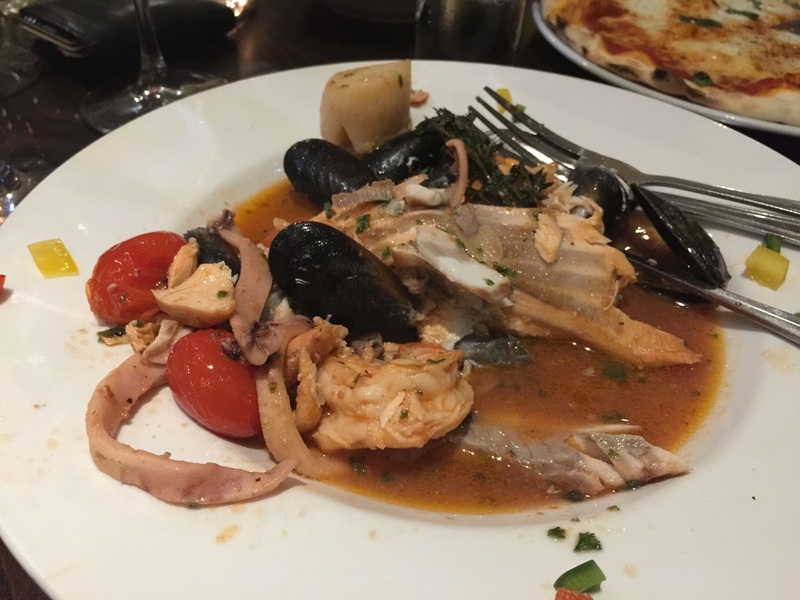 A modest Italian with a terrific atmosphere. A couple of years ago Giovanni fell out with his business partner, so Marabini’s was no more and the town mourned. Happily, Giovanni (and his Cuban partner Miguel Perez) landed round the corner in Bridge Street with Lollo Rosso. Readers have been urging me to visit for ages. I’m sorry I waited so long. On a blustery Monday night in late winter, it wasn’t surprising that Morpeth was deserted as a Wild West town before a shootout. Even the pubs were silent. Through the darkness, the white Lollo Rosso sign shone brightly and a stream of customers was heading towards it, their heavy coats pulled up against the elements. One step inside the door, and it was like arriving in the middle of a houseparty. There stood mine host: rotund, jolly, smart shirt (unbuttoned at the collar) and tie, carrying the biggest grin in the North East. We’d booked for three, but word had got around I was in town and other friends wanted to join. I’d assumed that, as it was Monday, this would be no problem but my heart sank as I saw the place was already heaving. "Of course: how many will you be? Four? Five?" “Er, Seven please,” I said, and winced, anticipating rejection. “No problem… please have a drink on the house, all of you, while we rearrange,” and tables were quickly brought, places were moved. Meanwhile I picked up the menu. 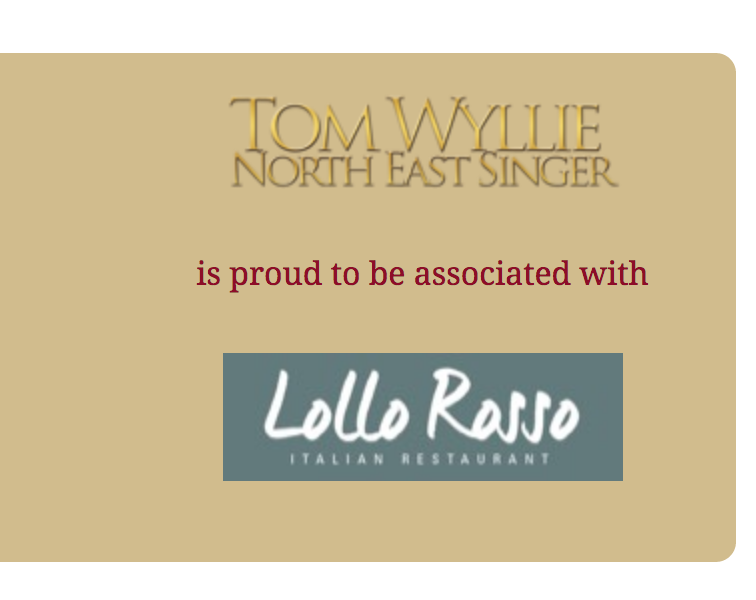 It proclaimed that someone called Tom Wyllie, North East Singer, is “proud to be associated with Lollo Rosso”. 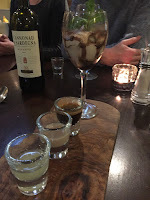 While our table was being assembled, Google had time to tell me that Wyllie is a young baritone, available for weddings and private functions and “a must for that special occasion” (according to David Hall, Head of Leisure, Strategy and Transformation for Northumbrian Water). Sadly, I hadn’t time to download his performance of Love Changes Everything, before Giovanni was back to usher us to our meal. Andrea Bocelli loudly serenaded us to our seats. 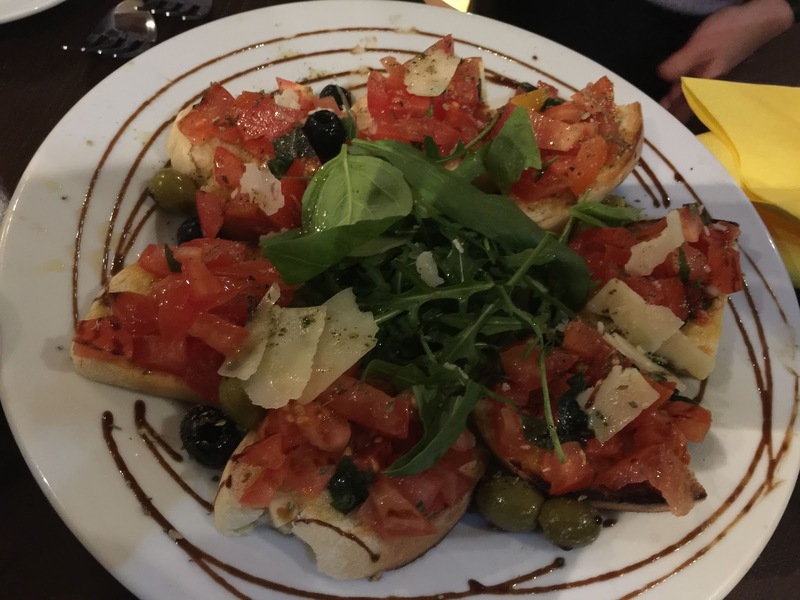 Complementary bruschetta quickly arrived, laden with tomato and garlic and fine olives and parmesan; wine, both red and white was ordered. The wine list is both reasonable and inventive. I spotted a Cannonau Riserva from Sardinia (Sella & Mosca). 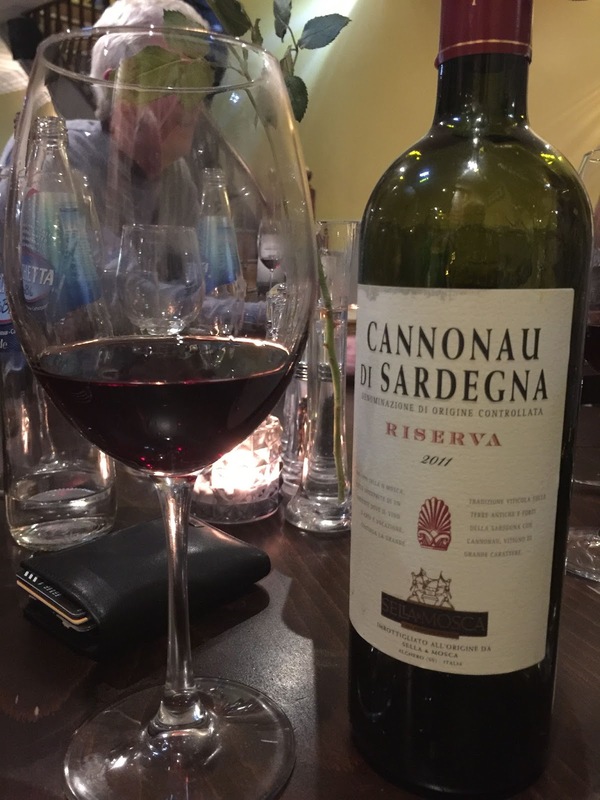 Earthy, warm, dry and spicy, it was a bargain at just £22 a bottle. Together with a crisp house white, it nicely set the mood for our starters. Scallops, Caesar salad, proper bufala mozzarella in various guises, an excellent melanzane parmigiana special – there were seven of us, so seven dishes: despite the restaurant being full, we were pushing the kitchen to the limit. Someone had ordered “fried baby calzone” (£6.95), which I expected to be little Italian samosa. 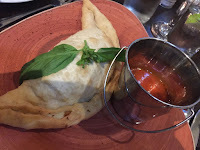 Instead, the plate bore one enormous pasty, stuffed with mozzarella, pepperoni, parma ham and ricotta, with a deep, rich tomato sauce on the side. 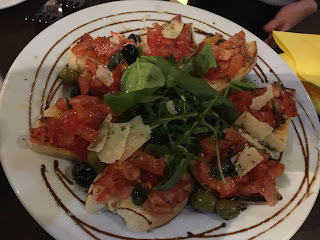 It was rather good, but far too large for a starter. Meanwhile the scallops Allenzo (£9.95), with salmon and a tarragon and vodka sauce, would have been a main course anywhere else in the world, and were seriously nice. 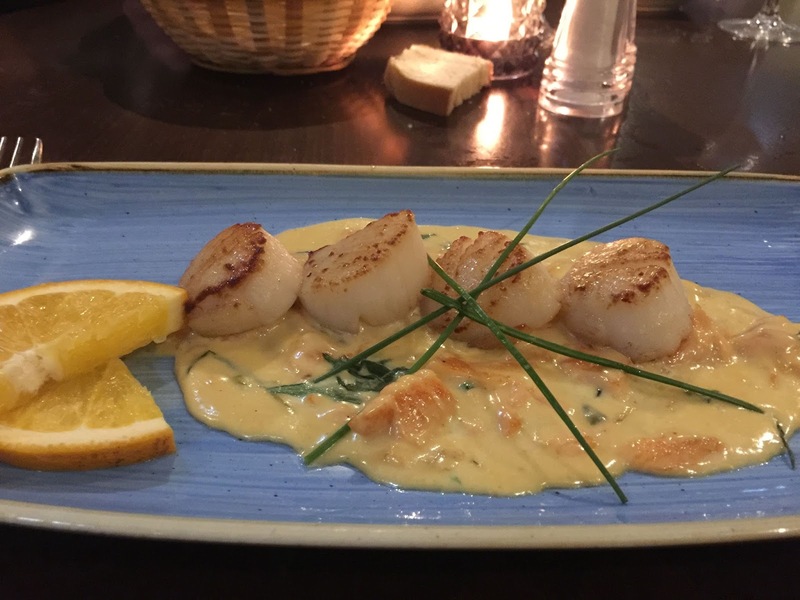 The sauce was rich and creamy, cut through with fresh orange, and the scallops were like butter. From time to time Bocelli stopped singing and the staff placed a large Mexican hat on an unsuspecting customer’s head and sang them Happy Birthday. It’s that kind of place. 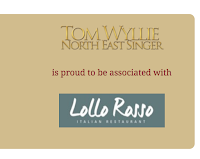 There were a lot of birthdays in Morpeth that Monday, five of them in Lollo Rosso. Including one on our table, which nobody knew about until the owner of the birthday said “Don’t you dare let that happen to me.” So we did, and she loved it. We moved on to baked seabass (very fresh, in an excellent tomato sauce), seafood risotto and a seafood foil parcel containing half the contents of a trawler. 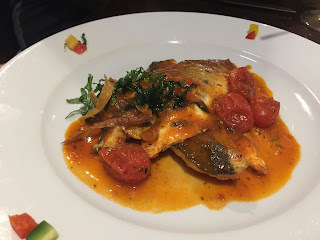 For some reason most of us had ordered fish. It was a good choice. I have to say that none of the food we ate was earthshatteringly original. That’s not a criticism. 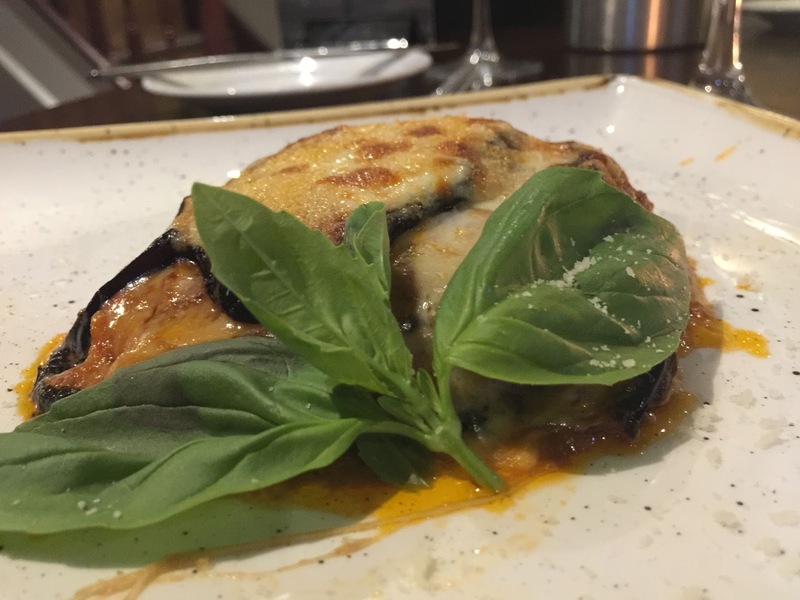 It doesn’t aim to be a foodie paradise: it’s a traditional Italian local restaurant, and it does the job very well. 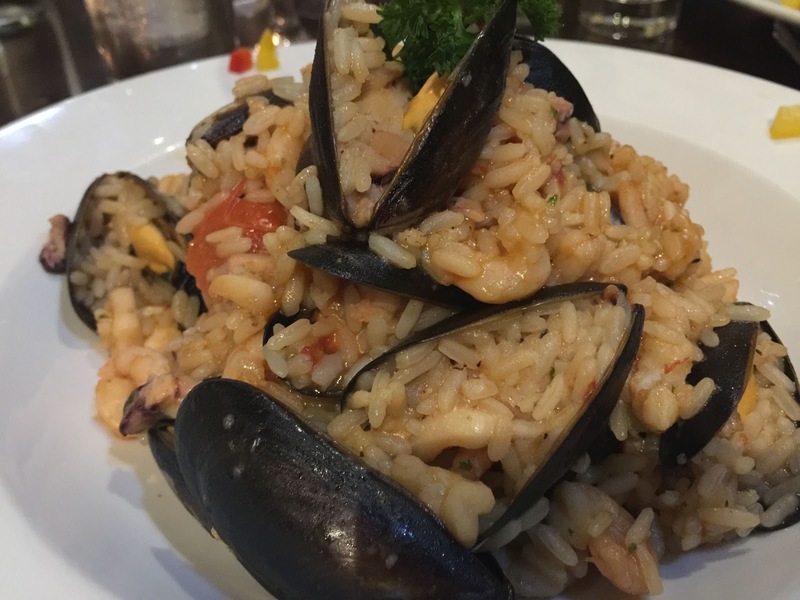 The seafood risotto was particularly good, packed with mussels and fish and flavour. Even mushroom risotto was deep and earthy, and lacked only a little truffle oil to make it zing. Later, a good tiramisu in a glass was accompanied by a lineup of liqueurs and espresso. Almost everything we tried was successful. Almost. 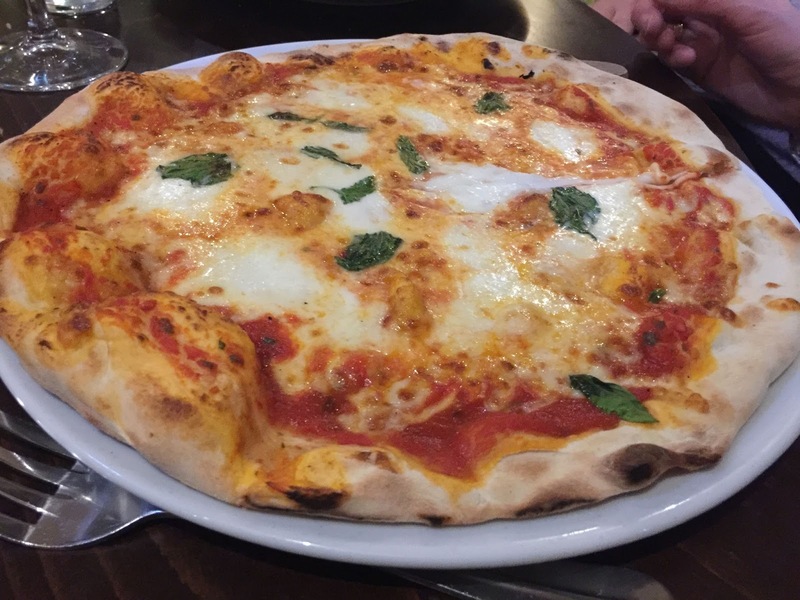 Only the pizza disappointed – the dough was, well, doughy. Somehow Giovanni sensed my hesitation. He disappeared upstairs and returned with a set of architect’s drawings. “Our pizza oven is not very good,” he said, apologetically. “Look – we have ordered one from Stefano Ferrara”. 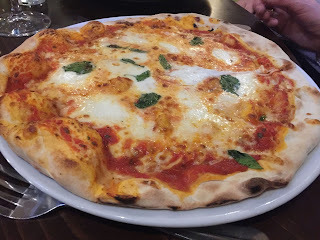 Ferrara makes the world’s best pizza ovens. Giovanni spread out the plans – they’re for a new restaurant. He has taken over the lease of Smail’s, the big hardware store over the road. 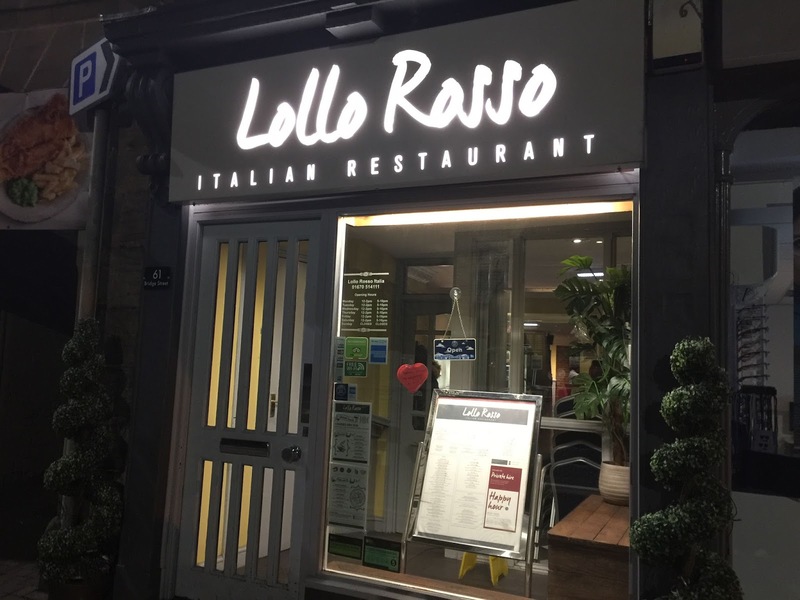 The new Lollo Rosso will have 240 covers and proper Neapolitan pizza. I can’t wait, I said, and meant it. But what about this place? He introduces me to one of his staff, who’s Greek. 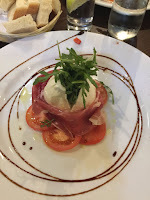 Morpeth needs a proper Greek restaurant, apparently. And soon it will have one. Morpeth really needs Giovanni Marabini and his team. He may not have Beckham and Biggins, but he has Tom Wyllie, Andrea Bocelli on the stereo, and a very good line in Happy Birthdays. Above all, he really knows how to make his guests welcome. And the cooking's not half bad either. Booking highly recommended.